Otay Water District is pleased to announce that the Consumer Confidence Report for calendar year 2016 is now available online. The annual water quality report provides valuable information about the water you drink supplied by the District. The District delivers water to more than 223,000 customers within 125.5 square miles. The report details where Otay’s water comes from, what is tested, and how the results compare to state standards. It also lists the levels of common elements that may be detected in the water. 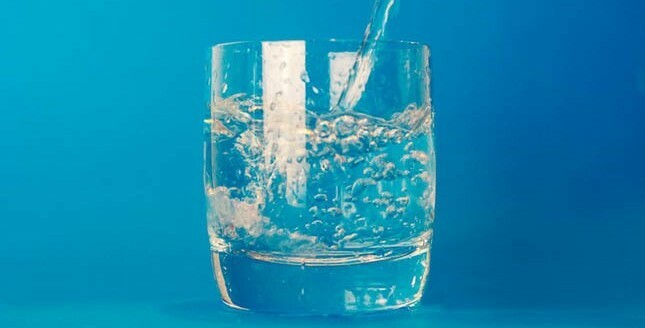 Every year, the United Environmental Protection Agency and the State Water Resources Control Board, Division of Drinking Water sets regulations that limit the amount of contaminants that may be present in drinking water provided by the District. Once again, Otay met or surpassed all the public health drinking water requirements and standards. The District’s system did not exceed a health-related maximum contaminant level and met other water quality standards. District staff is committed to performing continuous water quality testing and vigilantly safeguards its water supplies to ensure reliable drinking water for its customers. 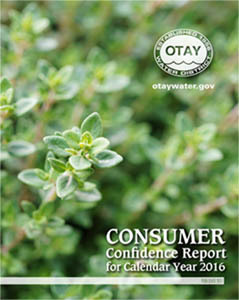 The PDF report is available in English and Spanish at otaywater.gov/consumerconfidence. To request a printed copy, visit the District’s office at 2554 Sweetwater Springs Blvd., Spring Valley, CA 91978, call (619) 670-2222, or email info@otaywater.gov.